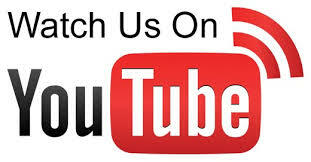 By Becoming A Piano Teacher in your community! "Could I TEACH the piano, too, and make a good living at something I enjoy so much?" Meet your personal piano-teacher teacher—Yoke Wong. Greetings! 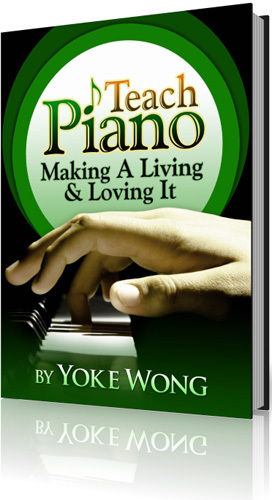 I’m your personal piano-teacher teacher—Yoke Wong. In the past 10 years, I’ve been fortunate enough to teach thousands of piano players worldwide, ranging from 3 to 91 years old. And, as an accomplished player for over 30 years, my DVD courses have been sold in more than 90 countries. More importantly, through this EBook, I’m fully dedicated to helping you reach your goals as quickly and easily as possible. And now, with this exclusive package, I can show you how YOU can become a successful piano teacher, too! People still love the piano and want to learn. Over 80% of U.S. survey respondents agree that music is a “very important” part of their lives—and among those who don’t play an instrument, two-thirds still want to learn! Piano is a skill that students can carry forward into the rest of their lives. The same cannot be said of most sports—or of the Wii, for that matter. And piano education builds important skills that can be carried beyond musical performance—such as breaking down a goal into smaller sub-goals or persistence in a task despite challenges. Interest in learning keyboard skills remains strong. Although sales of full-sized pianos have declined recently along with downturns in the housing market, sales of keyboard synthesizers, controller keyboards (that connect to computers) and portable keyboards remain strong. Today, it’s easy to start making a living teaching piano in your community. You just need the right tools and the right information, and you’ll be on your way. That’s why I’ve created this exclusive new E-Book for piano players who want to become piano teachers. It’s called “Teach Piano: Making a Living & Loving It,” and it includes all the tips, tricks and techniques you’ll need to set up your piano teaching business, starting today! Group lessons—yes or no? If yes, what are the arrangements? Helpful Checklists We’ve done lots of the preliminary work for you, with valuable checklists for Starting Your Business, Marketing Your Studio, New Students and Having a Great Recital. Sample Studio Policy To operate your studio smoothly and fairly, it helps to establish policies; use these examples as thought starters—or just insert your studio’s name and go. Sample Lesson Plan 1 Looking for a good basic lesson plan? Look no further than this great sample. Sample Lesson Plan 2 Looking for a good transfer lesson plan? You’ll get one of these, too. 5) BONUS—Templates Helpful templates you can print, copy or modify as needed—for Assignment Sheets and Lesson Calendars, etc. Games If you ever see a child student becoming overwhelmed during individual lessons, these games can help make learning fun. 7) BONUS—Resources Helpful tools, organizations and services that can make running your studio a breeze. It’s a special package—and for a limited time, it’s a VERY special deal! We’re so excited to get this amazing piano-teaching digital book in your hands, we’re offering an especially sweet deal for a very limited time. If you purchase “Teach Piano: Making a Living and Loving It” Ebook (downloadable book) now, and we’ll trim the regular $75 price down to just $39. Or, for a limited time, you can order the Ebook PLUS MP3 audio files (you can listen to the book with mp3 files) for just $39. Whatever works best for you, we just want to make sure you have the chance to enjoy this amazing package of tips, tricks and techniques on how to make a good living as a successful piano teacher—just like you’ve always dreamed. Order today—and you’ll be on your way!